The Liberty 1-1/4 in. 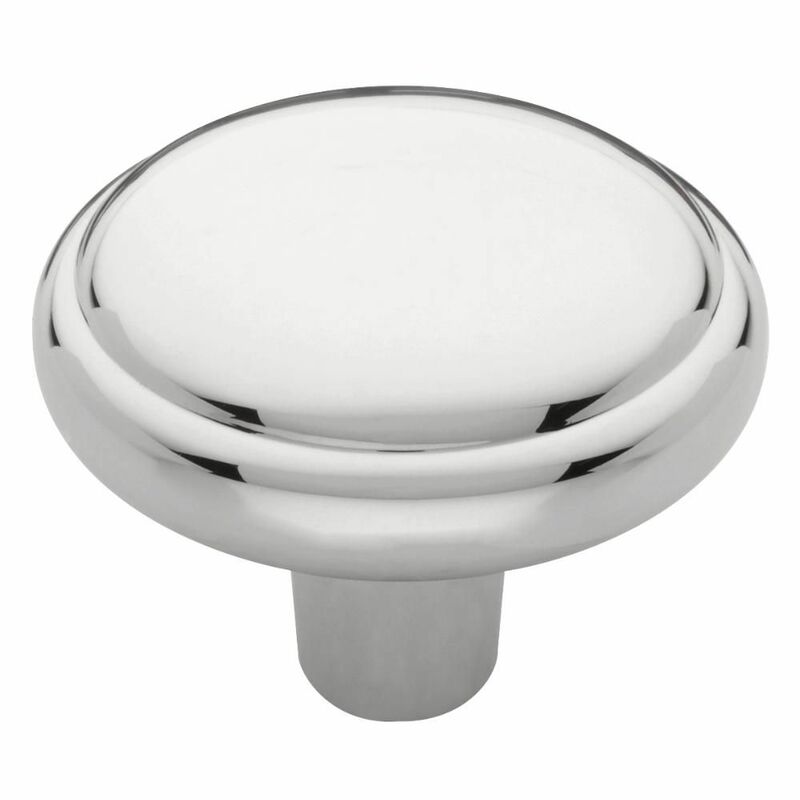 Polished-Chrome Domed-Top Round Knob adds a touch of simple sophistication to a cabinet. It comes with required hardware for easy installation. Rear mount installation. 1-1/4 in. Domed Top Round Knob The Liberty 1-1/4 in. Polished-Chrome Domed-Top Round Knob adds a touch of simple sophistication to a cabinet. It comes with required hardware for easy installation. Rear mount installation. 1-1/4 in. Domed Top Round Knob is rated 4.6 out of 5 by 27. Rated 5 out of 5 by Terri from Fit great looked just as I wanted.... Fit great looked just as I wanted. Rated 5 out of 5 by mbhnwct from great simple knob at a good price. meets expectations, it... great simple knob at a good price. meets expectations, it was nice that it came with 2 legnths of bolts to attach to use with thinner or thicker drawer fronts. has a nice bright shiny appearance. there was also a matte finish I would have preferred but my daughter likes the bling and it was her desk we refinished. Rated 5 out of 5 by Diane from Chrome knobs Renovated kitchen and painted cupboards pebble gray (bought at Home Depot) and the chrome knobs set the doors and drawers off. Looks beautiful and easy to put on. Rated 5 out of 5 by mbhnwct from simple design easily installs with 2 different length screws for different door or drawer thickne... simple design easily installs with 2 different length screws for different door or drawer thicknesses. It has a nice chrome shine and went nicely on our refinished desk. Rated 5 out of 5 by Kerry from These added to the function and beauty of my bathroom.... These added to the function and beauty of my bathroom. Rated 5 out of 5 by Ken from Simple stylish affordable and practical. Everything I needed was in... Simple stylish affordable and practical. Everything I needed was in the box. 2 sizes of screws were perfect cabinets doors and drawers.